In Canada’s arctic region, the Inuit refer to polar bears as “Nanuq”. Nanuq likes the cold and is perfectly camouflaged in a snowy environment. 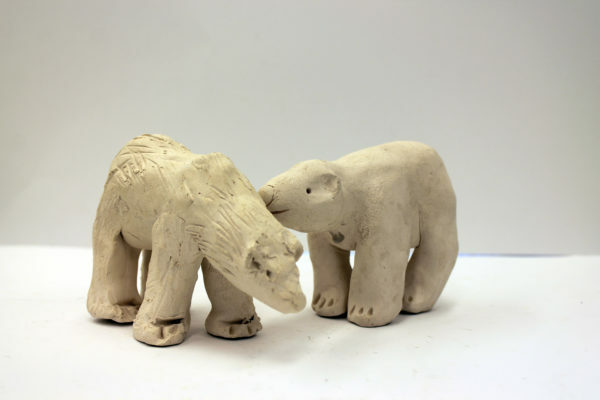 Students will discuss the most distinguishing features of a polar bear and successfully build their own bear sculpture. Their works can later be finished to imitate soapstone carvings. Nanuq makes a wonderful hand-built gift. Complements The Inuit program at the Museum.